The Single Stupidest Article I’ve Ever Read | Dude, Where's My Freedom? Americans and Their Military, Drifting Apart – NYTimes.com. Whenever I’m feeling a little down on myself and questioning my ability to write meaningful political pieces, I immediately go to the New York Times Op-Ed page, confident that I will soon find some piece of absolute drivel that will make me look like H.L. Mencken by comparison. Over the weekend, I stumbled upon this farcical piece of garbage (co-written by a general and a professor) and almost had a brain aneurysm trying to comprehend the thing. This article is so amazingly full of fallacies and contradictions that after finishing it, the reader is left knowing even less than they did before they started. Taking this piece apart is no small task, so I’ll just proceed one paragraph at a time. Before I start though, I would like to note that this piece is entirely devoid of sources, and quite light on numbers and statistics of any kind. We are supposed to simply take the authors’ word that everything they write is factual. The first paragraph lays out the premise: “the greatest challenge to our military is not from a foreign enemy — it’s the widening gap between the American people and their armed forces.” Presumably the rest of the article is going to both prove that this is true, and explain why it is a bad thing. Don’t hold your breath on that. In the next paragraph, the authors claim that somehow the end of conscription following the Vietnam war (I’d like to take the time to point out that although no troops have actually been conscripted since Vietnam, registration with the selective service is still mandatory. I would say that conscription has not “ended” but rather just temporarily placed on hold. The government still reserves the right to do it, whenever they choose.) has somehow caused us to depart from the “citizen-soldier” tradition, citing the founding fathers concerns of a standing army, and quoting Samuel Adams: “A standing Army, however necessary it may be at some times, is always dangerous to the Liberties of the People. Soldiers are apt to consider themselves as a Body distinct from the rest of the Citizens.” Now, I happen to agree with the founders concerns that a standing army is dangerous to the liberty of the people, but this piece is incredibly off-base in exactly what that means. The authors seem to be confusing the concept of the “citizen-soldier” with a conscript. But there is a significant difference between the two. A citizen-soldier is someone who temporarily volunteers to fight a war because they believe in the reasons for fighting it, but has no intention to become a soldier as a full-time occupation. A conscript is someone who is forced, at gunpoint, to fight in a war they presumably do not support. See the difference? I’m curious as to whether the authors would consider the soldiers in Stalin’s red army to be “citizen-soldiers?” In any case, the founding fathers were concerned about the size and permanence of the army, not about the source of its fighting force. They envisioned a militia-based system, where able-bodied men would volunteer and quickly mobilize in a time of war in order to defend the nation. Throughout the first half of American history, there was no sizeable standing army to speak of. The authors are correct that standing armies are dangerous and that we now have one, but this is not exactly a new phenomenon (we’ve had a large standing army since about World War I), and they mistakenly attribute it to the “end” of conscription, which has nothing to do with it. Keep in mind, all of this is presented as negative information. A significant problem in society that must be solved. So let’s think about this for a moment. First, they decry that a smaller percentage of the population serves in the armed forces today, as compared to during World War II. Well geez, you would hope so, wouldn’t you? World War II consisted of a complete and total mobilization of the entire country in order to fight a desperate war in two entirely separate theaters against multiple well-developed industrial nations. You think that might require a bit larger of a force than regime change in Iraq and Afghanistan does? Also, let’s keep in mind that this was over six decades ago. The amount of labor-saving technology that has been invented since the 1940s, allowing more work to be done with less manpower (in ALL areas of life, not just in the military) is absolutely staggering. To expect that the percentage of individuals who serve in the military should remain constant while the external threats to America have greatly diminished and labor-saving technology has exploded onto the scene is completely and totally asinine. Not only is such a change to be expected, it is to be celebrated. If we are operating under the premise that having a military is a necessary evil (with these authors, you never know), then the fact that we are able to retain the same military strength and power while relying on a smaller percentage of the total population to devote their lives to violence is good news indeed. If the optimum size of the military in utopia-like conditions is zero, then the fact that we now get by with 0.5% when it used to be 12% would suggest that we are getting closer and closer to the desirable state of affairs, which would be to have as little of a military as possible to maintain national security. If we generally believe that being in the military is a thankless and unrewarding occupation, we should celebrate that fewer and fewer individuals need subject themselves to it. Now, let’s deal with Congress. Remember, the authors just got done telling us that only 0.5% of the population serves in the armed forces. Then, in the very next sentence, they bemoan the fact that “just” 20% of members of Congress served in the armed forces! Just? Are these people incapable of basic math? If their numbers are true (remember, no citations are provided), then a member of Congress is forty times more likely to have served in the military than the average American. So much for a representative government, huh? As far as their children go, they get even more specific and say “only a handful” of their children are in uniform. Based on the 0.5% figure, and on 535 members of Congress, it would take only a whopping three children of members of Congress serving in the military in order to make it so that statistically, “children of Congressmen” are more likely to serve in the military than “children of average Americans.” I actually agree with the authors that 20% of Congress having served in the military represents a problem, but it’s a problem in the exact opposite direction. The problem is that too many members of Congress have military backgrounds, not too few. The next paragraph literally argues that improvements in military technology have been a bad thing, as they “insulate civilians from the military.” This may be the only article the New York Times has ever published that literally is complaining that defense spending has gone down: “But in recent decades, information and navigation technologies have vastly amplified the individual warrior’s firepower, allowing for a much more compact and less costly military.” Oh no! What a catastrophe! Quick, get a Congressional panel together to fix this troublesome development! Next, they go on to make a somewhat bizarre point that the military’s “expanded mission” (think “nation-building”) has helped alienate the public by creating a “blurring of missions.” This makes no sense whatsoever. On the contrary, I think one of the main reasons the military is so enthusiastic about assuming nation-building missions is because it is a great boon to their public image. Have you actually watched any military recruiting commercials lately? Noticed a theme? Virtually every one of them shows a soldier, Sailor, or marine engaging in some heartfelt humanitarian mission helping the starving children in some disaster-ridden third-world country. Images of mercilessly gunning down enemies of the nation are pretty few and far between. Why do you suppose this is? Because people want to believe the military does all sorts of great things besides killing people. Now, the authors attempt to bring this all together and explain why it’s so bad. “Together, these developments present a disturbingly novel spectacle: a maximally powerful force operating with a minimum of citizen engagement and comprehension.” Once again, this should be celebrated as a universally good thing. Someone correct me if I’m wrong here, but I thought the entire public image of the military rests on the premise that “they fight the bad guys so that we have the freedom to grill hamburgers in our backyards and not worry about it.” Would they prefer a minimally powerful force operating with a maximum of citizen engagement? The authors seem to have some sort of fetishistic view of World War II (when the war mobilization was so intense, there was complete and total rationing of even the most basic products) as the pinnacle of American achievement. Next is an odd paragraph commenting on how military deployments have increased since World War II, “in no small part to the distance that has come to separate the civil and military sectors.” Citation needed. 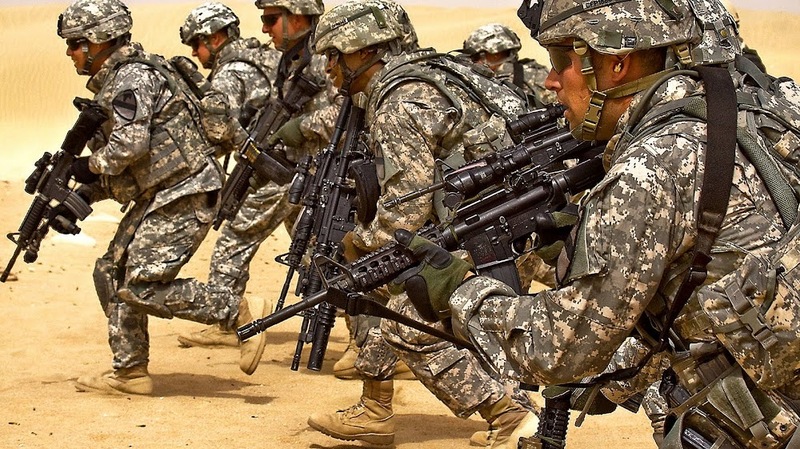 I would suggest that increased military deployments have resulted as a consequence of geopolitical affairs, increased global demand for specific natural resources, and a more aggressive American foreign policy in general, combined with the departure from the gold standard, making it easier for Congress to finance unnecessary military expeditions. “Let’s start with a draft lottery. Americans neither need nor want a vast conscript force, but a lottery that populated part of the ranks with draftees would reintroduce the notion of service as civic obligation.” And there you have it, there’s their solution. Yes folks, that’s right, the New York Times published an op-ed that openly calls for the reinstitution of slavery in the United States. Make no mistake about it, abducting someone by force and requiring them to work in a job they have no desire to do is akin in every significant way to slavery. But don’t worry, it’s “part of your civic duty.” Pathetic and disgusting. As ridiculous and deplorable as this solution is, the rest of their suggestions are surprisingly reasonable and practical. “Congress must also take on a larger role in war-making. Its last formal declarations of war were during World War II… This would circumscribe presidential power, but it would confer greater legitimacy on military interventions…” I’m all in favor of Congress executing its constitutionally required duty of declaring war, and eliminating the ridiculous undeclared wars that have become the norm in our society. I do consider it somewhat bizarre; however, that these authors automatically assume that “circumscribing presidential power” is a bad thing. Apparently in their world, one-man rule is the ideal. “Congress should also insist that wars be paid for in real time. Levying special taxes, rather than borrowing, to finance “special appropriations” would compel the body politic to bear the fiscal burden.” Sounds like a pretty good plan to me, but why stop at war? Everything should be paid for in real time. Borrowing trillions of dollars to be paid for by future generations is theft and is morally reprehensible (not to mention economically inefficient), regardless of what you spend it on. We would see spending on everything (not just war) fall if Americans were forced to pay for it instantly via higher taxes. And finally, the closing paragraph, much like the rest of this piece, is completely ridiculous and manages to contradict itself. On the one hand, they claim that citizens cannot be “mere spectators” and on the other hand, they quote Samuel Adams saying people must have a “watchful and jealous eye.” Having a watchful eye over something is pretty much the exact definition of a spectator. Notice that Adams did not suggest that a wise and prudent people will kidnap their fellow countrymen and force them to fight in foreign wars of choice. The founders would have never approved of a large standing army, of multiple foreign entanglements, or of mandatory conscription as a general policy. The authors of this piece have utterly failed to provide any evidence that there is in fact a widening gap between the military and civilian population. They have failed to provide any clear indication that said gap, if it did exist, is causing significant harm to the country. In the process, they made numerous inane and bizarre assertions, and contradicted themselves on multiple occasions. Congratulations, Karl W. Eikenberry and David M. Kennedy! You are the authors of the single stupidest article I have ever read. If only more Americans were forced to do this against their will, think how great things would be! This entry was posted in News Commentary and tagged Congress, conscription, founding fathers, Military, new york times, standing army, veterans, war. Bookmark the permalink.